A 1.9 magnitude earthquake was recorded by the United States Geological Society near Newland on Thursday, according to data released late Friday afternoon. 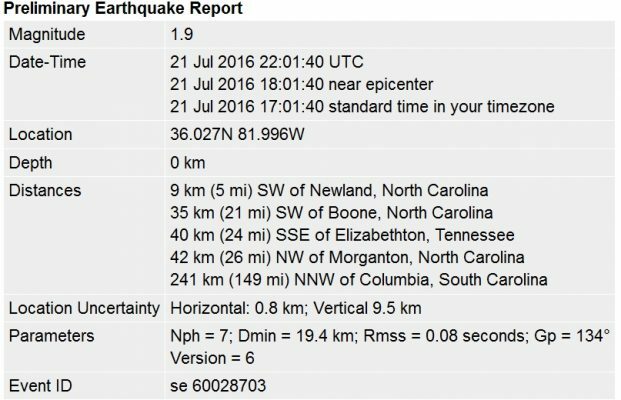 The event was centered 5 miles southwest of Newland, 21 miles southwest of Boone and 24 miles south southeast of Elizabethon, Tennessee. The last recorded earthquake for the High Country occurred on December 15, 2014. Six total earthquakes occurred in 2014. 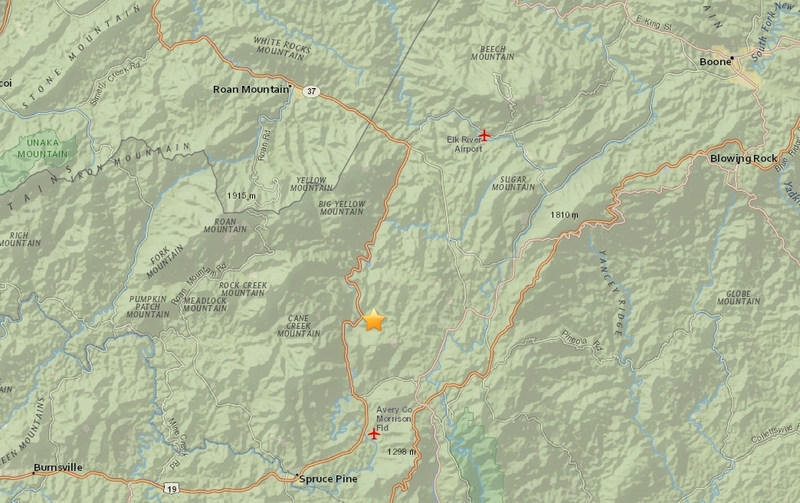 For more indepth information on the history of earthquakes in the High Country visit this link.